For a minimum investment of P500,000, you are entitled to P500 worth of BPI ePay Gift Card. An additional P100 will be added to your Gift Card for every P100,000 investment in excess. 1. The promo is open to all new and existing individual and corporate clients of BPI Asset Management and Trust Corporation and BPI Investment Management Inc.
2. The promo will run from March 15 to June 15, 2018. The reward availment period is until July 16, 2018. 3. Clients are entitled to receive P500 worth of BPI ePay Gift Card for a minimum investment of P500,000. An additional P100 will be added to the Gift Card every P100,000 investment excess. 4. Investment may be any or a combination of BPI Investment Funds and ALFM Mutual Funds. a. For dollar-denominated funds, investment amount will be converted to its peso equivalent, based on closing rate of foreign-exchange on day of investment. b. Only investments made within the promo period are qualified. Investments which are basis for entry to this promo shall not be qualified for other ongoing promos of BPI Asset Management Trust Corporation, BPI Investment Management Inc or its affiliates except for promotions involving enrollment in Investments Online, e-SOA for investments, and Regular Subscription Plan. 1. For the purpose of this promo, investments will have a 1-year holding period. In the event that the client redeems fully/partially prior to the end of the 1-year holding period, BPI Asset Management and Trust Corporation and BPI Investment Management Inc. reserve the right to deduct the value of the reward from the client/s’ redemption proceeds. 2. The promo is exclusive to investment accounts booked through BPI and BPI Family Savings Bank Branches or BPI Online Banking and BPI Mobile App. Investments made in segregated portfolio accounts are not qualified in the promo. a. Subscription Via Branches - Client must fill-out the claim certificate in the branch where the investment was made. Complimentary gift will be delivered to this branch. b. Subscription Via BPI Online Banking or BPI Mobile App - Client must forward the confirmation e-mail of the investment subscription to bpiamtcpromo@bpi.com.ph, together with their complete name, investment account number, choice of reward and preferred branch for pick-up. Client also has a choice to pick-up the reward at 17/F Ayala Wing, BPI Head Office. BPI Asset Management and Trust Corporation or BPI Investment Management Inc. will reply within 5 banking days to confirm receipt of promo participation and date of delivery of reward. 4. All the claim certificates and promo participation e-mails should be submitted or sent on or before July 16 2018. 6. All the unclaimed gift card/s after August 31, 2018 will be forfeited and returned to BPI Asset Management and Trust Corporation and BPI Investment Management Inc.
8. BPI Asset Management and Trust Corporation and BPI Investment Management Inc. have the right to verify the eligibility of the client and his/her investments and to check whether the investment is still outstanding at the end of the holding period. 9. BPI Asset Management and Trust Corporation and BPI Investment Management Inc. reserve the right to dispute the eligibility of participation in the promo if redemption or reinvestment is identified. In case of dispute, the decision of BPI Asset Management and Trust Corporation and BPI Investment Management Inc. will be final. 1. Are clients qualified to join other promos? No, except for promos involving enrolment in IOL, RSP or eSOA. 2. Are segregated accounts included in the promo? No. Only investments made through FDS (branch system) or online are qualified. 3. Is pooling of funds allowed? Yes, pooling of UITF and MF investments made within the promo period only. 4. Is there a maximum entitlement of rewards? 5. What BPI Investment Funds and ALFM Mutual Funds are allowed when claiming rewards in equivalent units? This can be availed through Peso-denominated funds of client, subject to minimum transaction of the fund. 6. Are Unibankers allowed to join the promo? 7. What is the ePay Gift Card (formerly BPI Express Gift Card)? 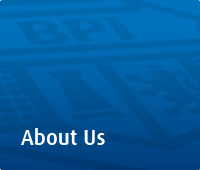 BPI ePay Gift Card is an electronic gift card that can be used in the widest selection of merchant choices. It is a gift card that is accepted at over 45,000 Mastercard affiliated establishments everywhere in the Philippines, thus empowers the recipient to select the gift that he/she personally wants. With BPI ePay Gift, no PIN is required. The recipient just signs on the sales slip to complete the transaction. Your loved ones can use the card for multiple transactions until balance reaches zero.